Alba Orbital of Glasgow, Scotland has seven new items that will be going for a long ride ... the company announced its first seven PocketQube customers for the upcoming “Alba Cluster 2” mission which will launch to orbit on a Rocket Lab Electron launch vehicle in Q3 2019. Under a rideshare agreement, Alba Orbital will manifest multiple satellites onto one launch vehicle; seven PocketQubes will be integrated into their satellite deployer, the AlbaPod. 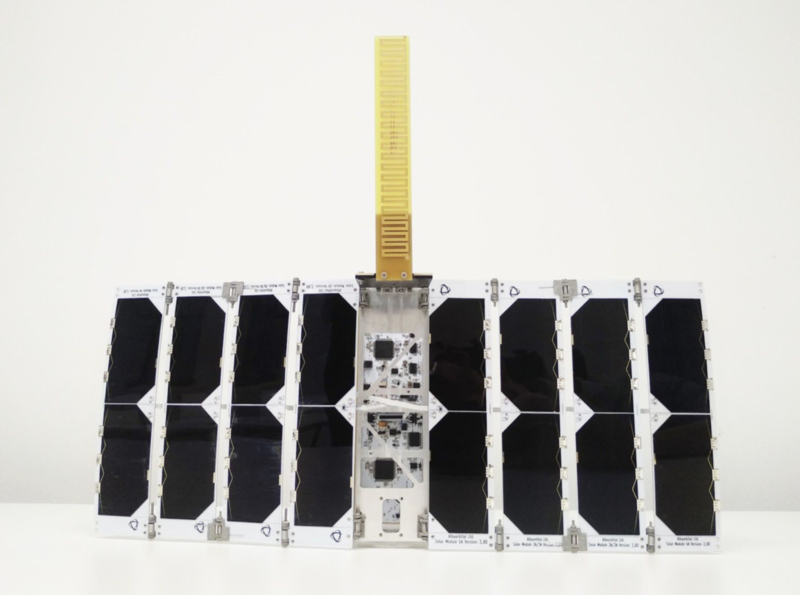 The PocketQube satellite format is made up of 5cm cubes, which can be stacked to make larger variants, which are referred to as p, for example 1p, 2p, 3p, et cetera. 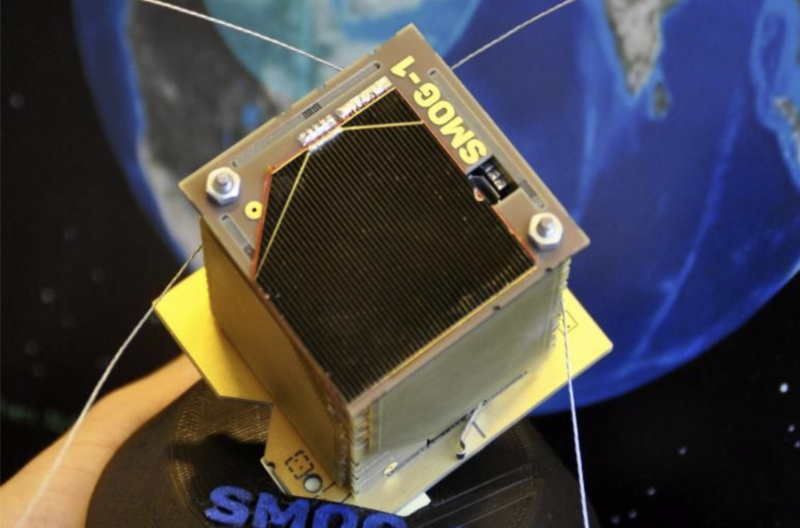 The first four PocketQubes were launched into space in 2013. Alba Orbital’s “Alba Cluster 2” builds upon the sold out Cluster 1, both of which are due to launch in Q3 2019. The cluster includes SMOG-P, a novel spectrum monitoring payload, built by Budapest University of Technology and Economics in Hungary, which mission is to make a global map of spectrum usage. TRSI Sat is flying an unnamed payload. Discovery, built by US firm Mini-cubes, is flying an optical camera payload. Advanced Technology of Laser (ATL-1) from Hungary are testing a new thermal isolation material in space. The Spanish Fossasat will provide free and open source IoT communications for the globe using inexpensive LoRa modules. The Stara Space satellites, NOOR 1-A and 1-B, will demonstrate a LEO to LEO intersatellite link, encrypted communication, ADCS, and integration with ground station software that allows 3rd party satellites to request data transfer; crucial technologies required to create a real-time global communications constellation. Rocket Lab founder and CEO, Peter Beck, said that the satellites of today are getting smaller, doing more and costing less to build, but until now it has been a challenge for them to get to orbit. By partnering with Alba Orbital for a rideshare on a Rocket Lab Electron, these small but mighty payloads will get to orbit faster, experiencing a first-class ride and precise orbital insertion to maximize their potential on orbit. Founder/CEO of Alba Orbita, Tom Walkinshaw, commented that getting a satellite to orbit has traditionally cost six figures, taken years and is prone to many delays. Albaâ€‹’s Launch Cluster 2 alleviate these problems, significantly reducing the barriers to launch PocketQubes in a regular and cost effective manner. This will help help fulfill Alba Orbital’s goal of democratizing access to space. They are looking forward to working with Peter and the Rocketlab team. Alba Orbital Cluster 2 is manifested on an Electron flight scheduled for a Q3 2019 launch date with a target 385km SSO (Polar) Orbit. Slots for Cluster 2 are sold out. However, slots on Alba cluster 3 are still available, with prices starting from 25k euro for a 1p. 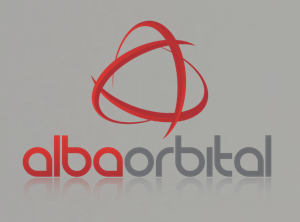 Alba Orbital provides the lowest price to launch a satellite to orbit on a flight proven launch vehicle. More information regarding the launches can be found here.